In recent years a LOT has changed with regard to record keeping for churches. 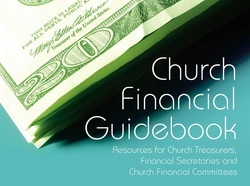 Ministerial and church tax issues are unique and many CPAs and accountants, as well as those who prepare taxes are not familiar with issues related to the church and/or clergy. TRBA stands ready to assist you individually or as a church, and is offering training on a REGULAR basis to assist our treasurers, finance committees, deacon chairs, and ministry staff. With 65-85% of the churches in NC operating outside the law, we believe our witness for our Lord MUST be better! There will be additional times as well when we repeat the process (at the very least). Do not forget, we will work with the church on a one-to-one basis as well. Feel free to contact Dougald at dougald@tarriverbaptist.com or 919-496-7172 for more information.